The fall 2016 was actually quite nice. Dry weather until the end of October, then a short rainy period before the weather became colder. We even had snow the second week of November, but that soon disappeared after a week of raining. The weather continued to vary with temperatures both above and below freezing, with a November that was a lot less rainy and grey than usual.I have several friends who were quite impatient (ping Toni) and just waited for a real winter with snow. I would certainly also have welcomed lots of snow for fatbiking and skiing in November, but there is an advantage to having several arrows in you quiver. 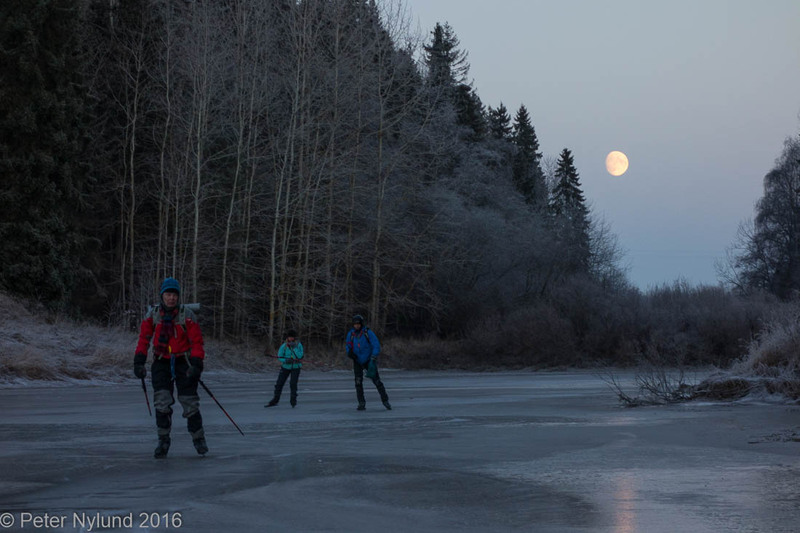 The lack of snow and temperatures still mostly below freezing made for the best Nordic skating on lakes for a long time. 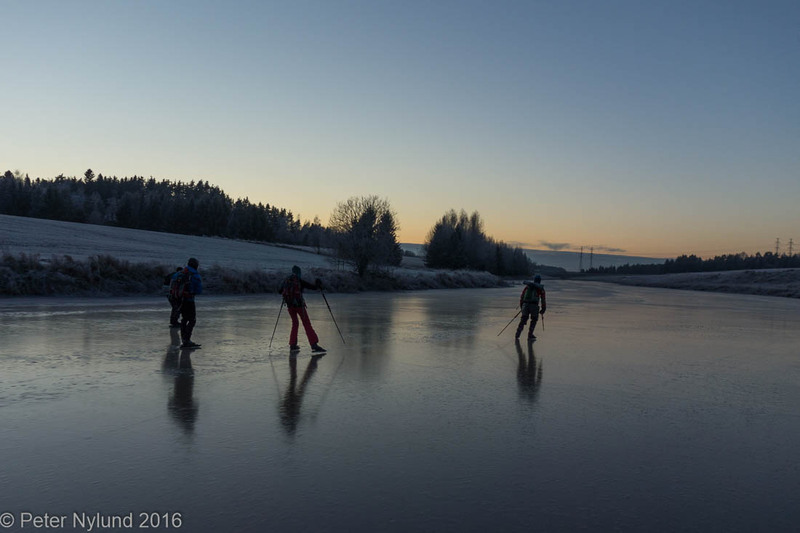 The Nordic skating season started November 7 for me, which must be considered very early in Southern Finland. 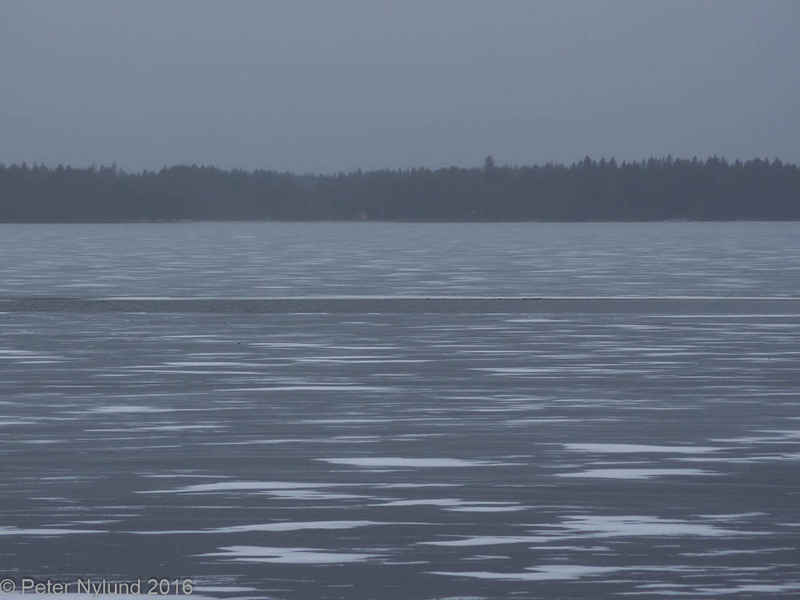 The lake Littoinen could possibly have had strong ice at most two days earlier, but I was away then. Since I hadn't had time to check out the lake, we had drysuits as an extra precaution. 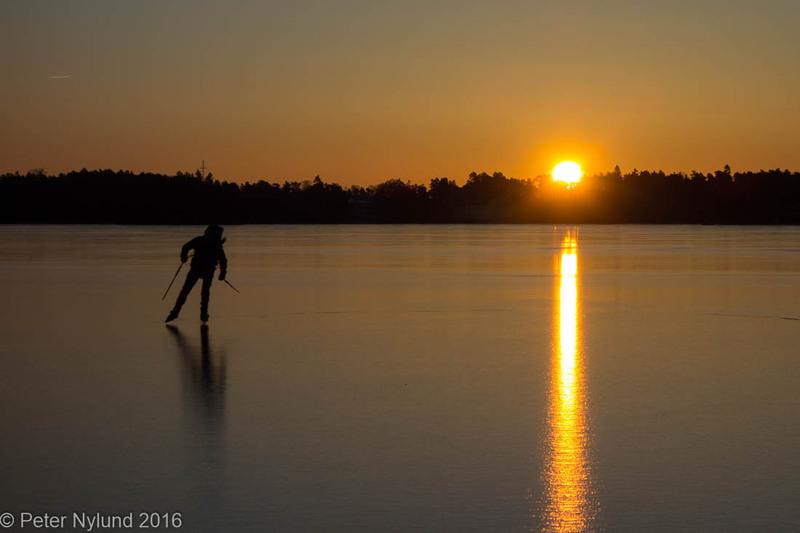 As it turned out, the ice was stronger than the first time of the previous season. The lakes continued to be in skating conditions for most of November, but I had other things to do and got back on the ice in the beginning of December. 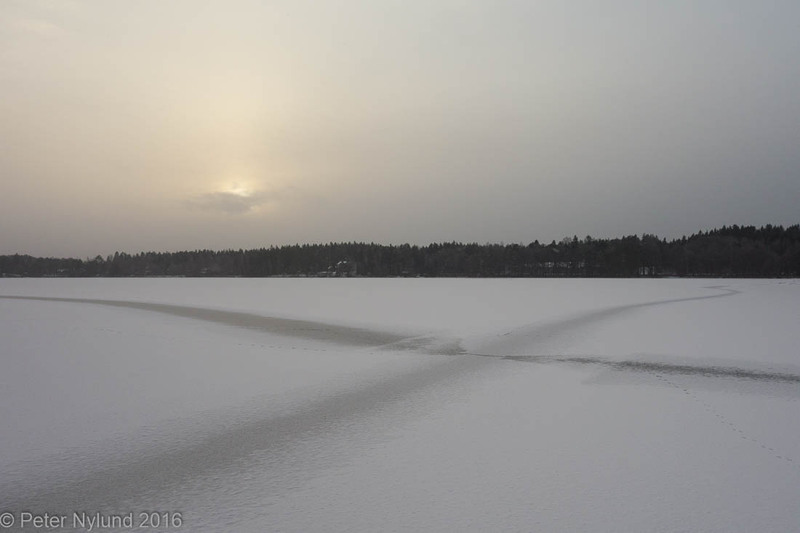 My almost next door lake was covered with snow and the ice was actually surprisingly thin when I checked it out December 4. 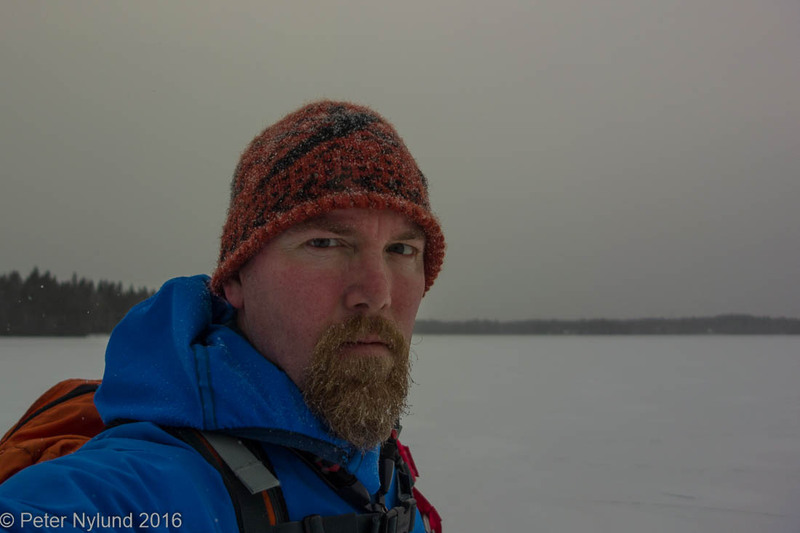 An ice pike is a necessary piece of equipment. With a single blow you should be able to get through 5 cm of ice. 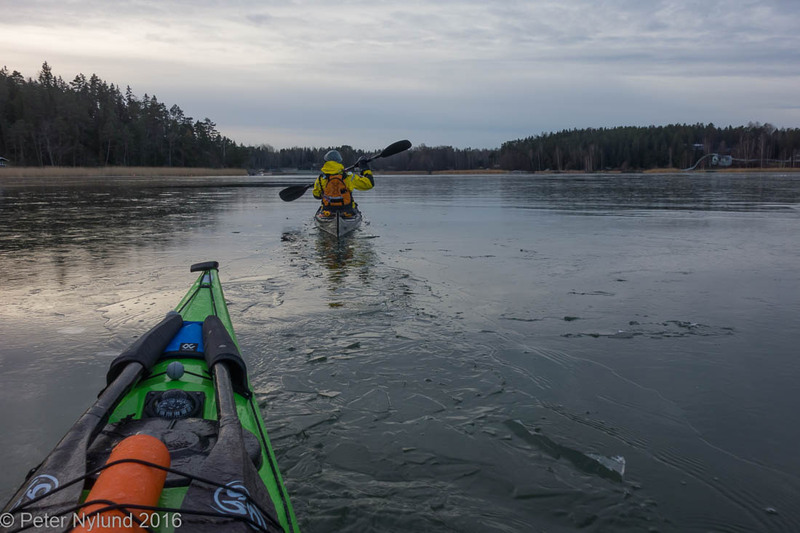 If you don't get through the ice, it is at least 5 cm thick at that point and strong enough. If not, you examine it closer and possibly start looking for stronger ice. 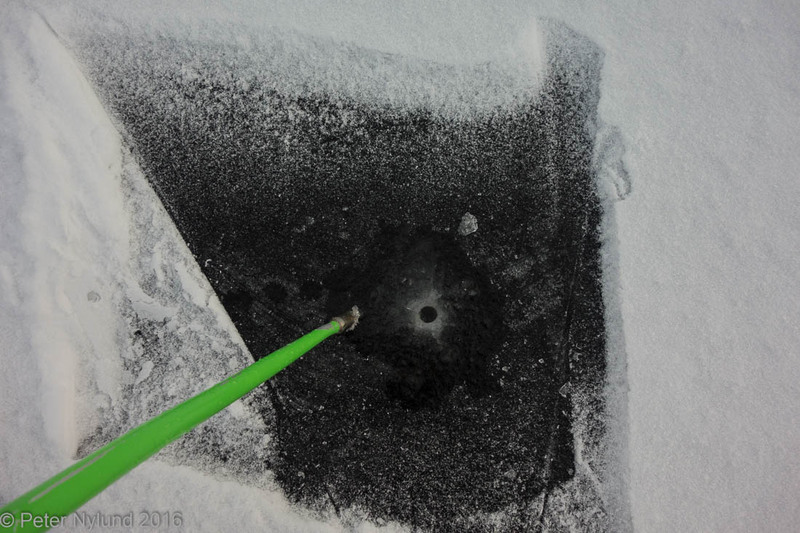 The thickness of the ice can vary a lot in a short distance, so you look for signs that indicate changes in the ice, e.g small color nuance changes or e.g. a creek entering the lake, visible from the map. 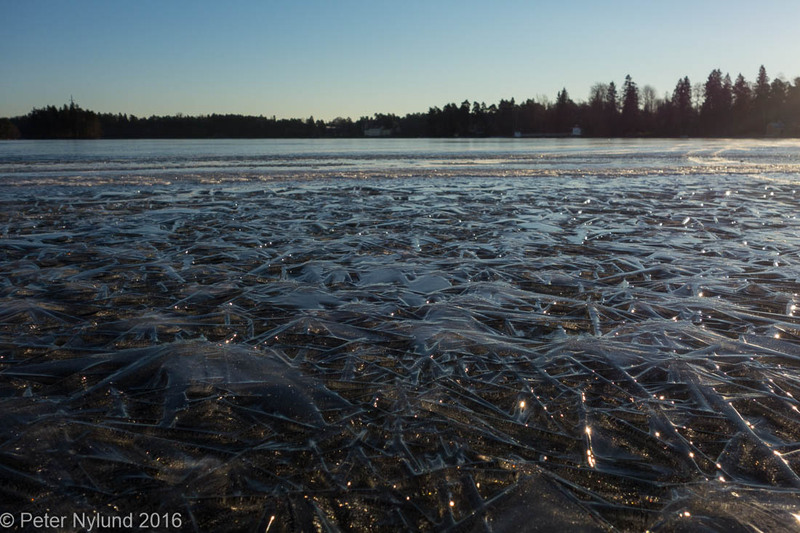 You can actually hear that the ice is thin from the frequence of the sound the ice makes. Two days later everything had changed. 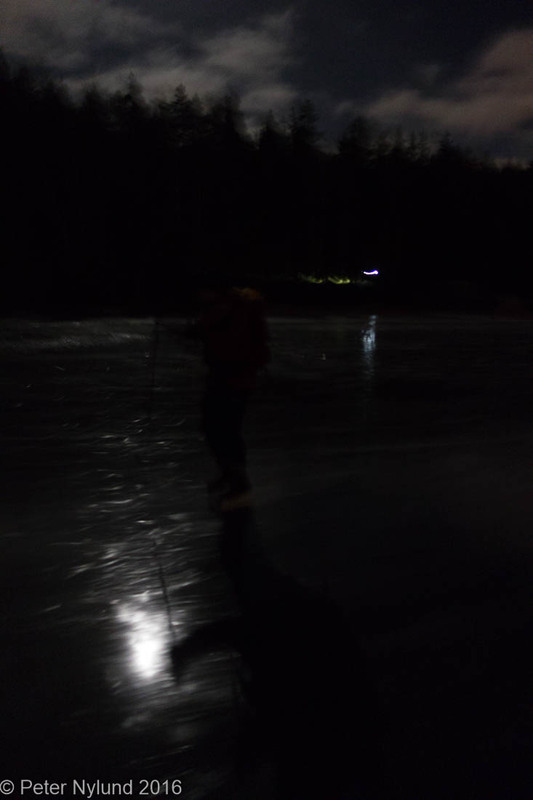 First a night of rain had gotten rid of the snow and then a cold and clear night had strengthened the ice noticeably. I use my ski boots with a Salomon XA Raid binding on Lundhags blades, an excellent system. 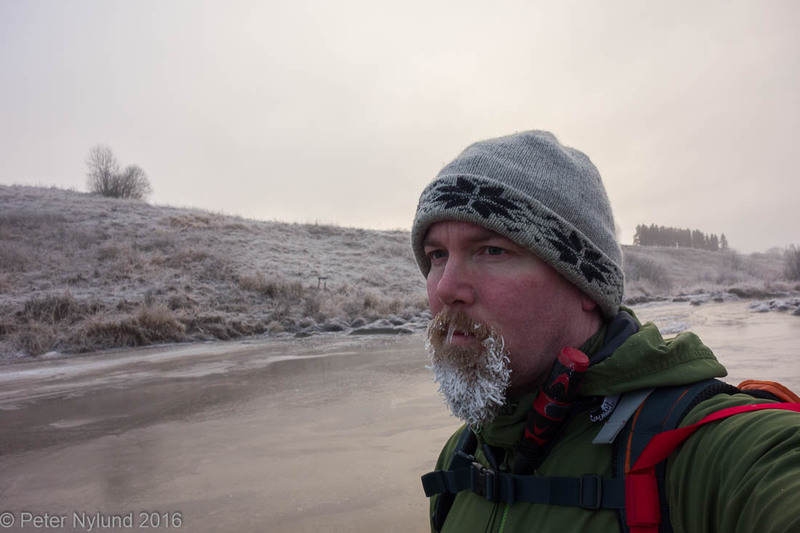 The next weekend the inner bays of the sea started to freeze. The kayaks started to get harder to paddle. Three days later people skated where we had paddled, though the ice was still quite thin. In addition to lakes and the sea, there are the rivers. A cold Sunday allowed 47 km of skating along the Aura river. 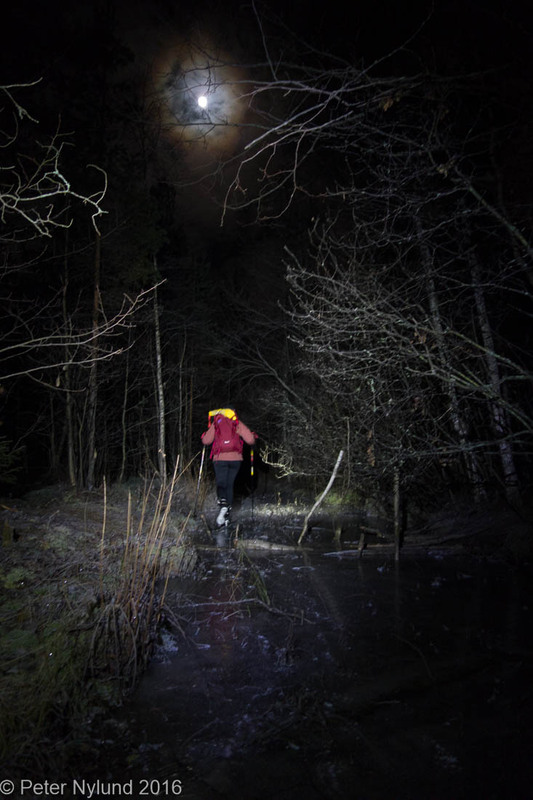 If you really know the ice, you can also go out in the dark, though this should not be taken lightly. A week later, the weather changed and is now looking quite depressing. 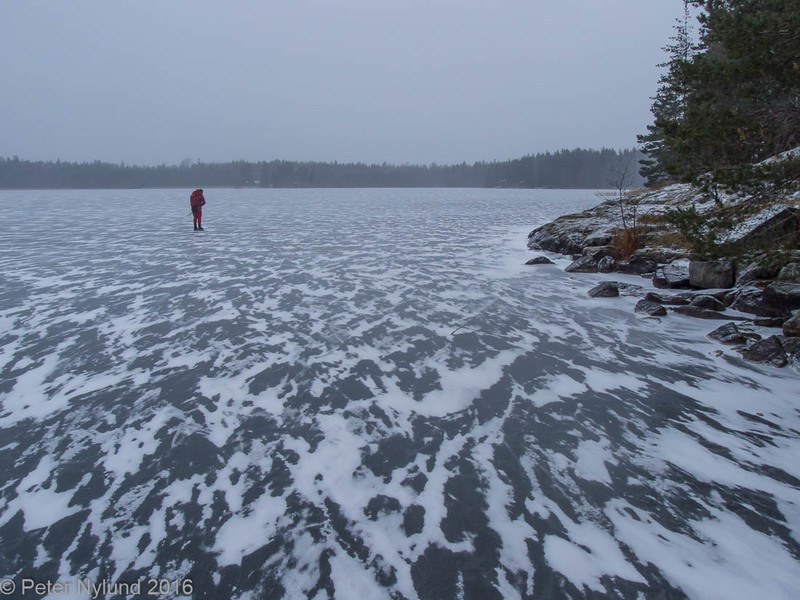 The lake ice doesn't suffer from rain and warmer temperatures very quickly, but the Christmas weather doesn't look good currently. 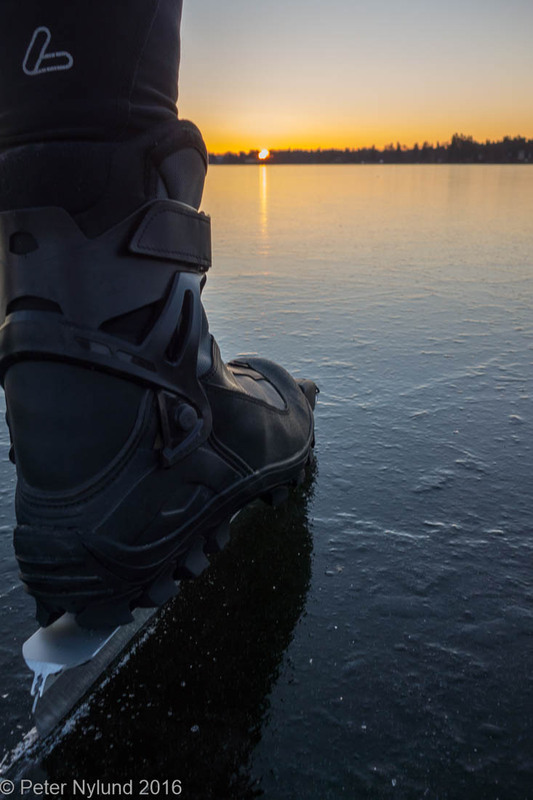 Now, a warning is certainly warranted when it comes to being on the ice. 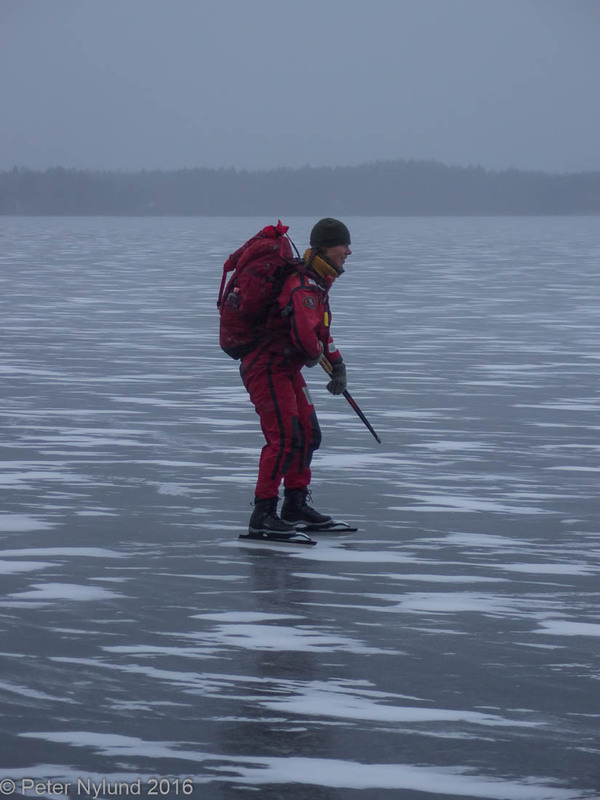 Thin ice can be very dangerous and people die every year when the ice breaks under them. 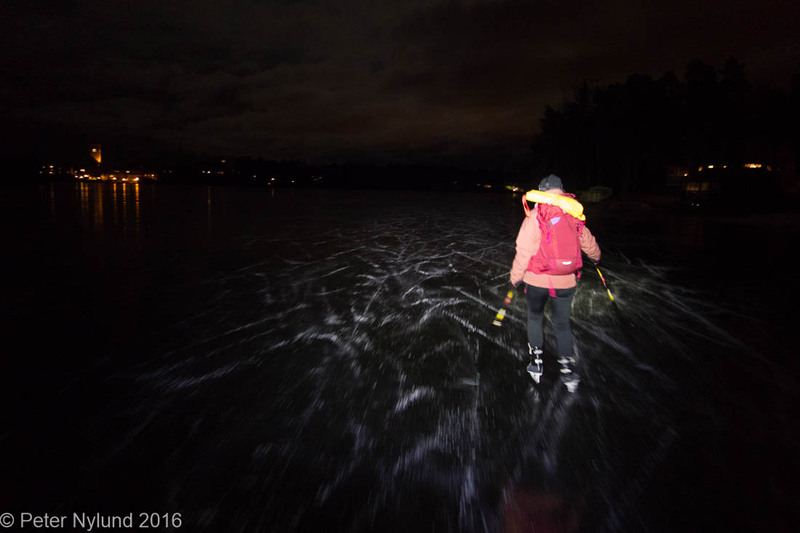 Always have ice prods and the other safety gear and don't go out on the ice if you don't know it or don't know what you are doing. If you are interested in Nordic skating, there are associations that hold courses and arrange trips. This is the way to get started. 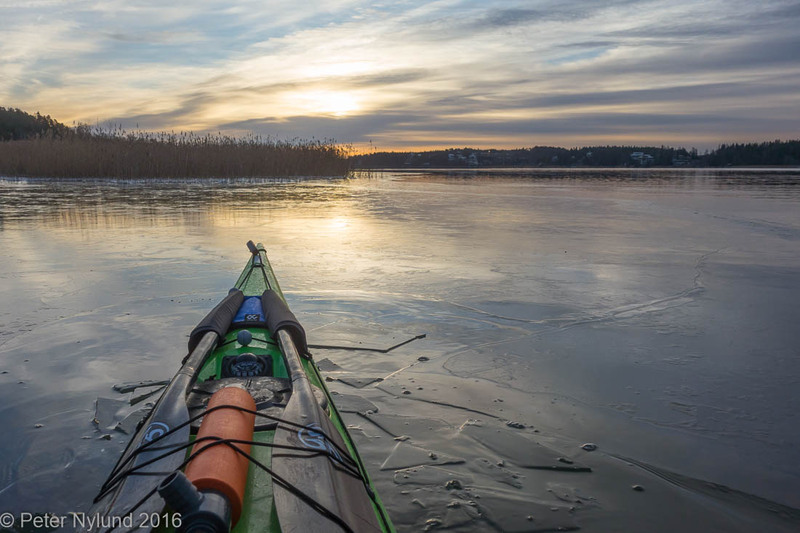 In Finland you have Suomen Retkiluistelijat - Finlands Långfärdsskrinnare, in Sweden Skridskonätet. In Norway this is a slighly newer thing, but Skiforeningen has something going on.